As energy efficiency becomes a much hotter and hotter topic, contractors and manufacturers representatives alike are having to really focus on products to deliver to their customers that works. For years we have heard the pundits talking, selling, promoting, etc… We are now at the time in life where the rubber has to hit the road. Products that work on energy reduction are abundant, however, like many other emerging markets and/or ideas, communicating how as well as how to most benefit by them is vital. AirTight, www.airtight.co, has found a couple of really niche products that do a great job of performing and allowing us to measure and present the savings to the customer. They are both unique in what they are designed to do, but deliver equally impressive results. First: The Stulz Ultrasonic Humidification concept. The concept is fairly simple and straightforward. Rather than using heat to create a vapor as you typically do in an infrared or immersion heater type humidifier canister, the ultrasonic technique using a high frequency to break up the surface tension on the water within the humidifier, where it is then drawn into the air stream. An ultrasonic humidifier, as compared to the normal infrared humidifier that is factory provided in a CRAC or CRAH unit, operates at a 93% energy savings. Meaning for every dollar of energy used to create humidity within a traditional CRAC style unit, the same amount of moisture will be induced into the air for only SEVEN CENTS. This is a revolutionary concept; we have installed it into some rather high-end data centers with excellent results. The customer likes to get a whole lot more bang for the Humidification buck. This information is available on line at http://tiny.cc/UltraSonic or from your local Stulz equipment representative. The rep locator map is on the same web site, http://tiny.cc/FindMyRep, as the data on the humidifiers. The second innovative, energy-mizing technology we have embraced early is, low voltage, Power Over Ethernet lighting. Today data centers are under constant pressure to find ways to improve power usage effectiveness (PUE) and drive higher uptimes. Our current partner, Redwood Systems, http://www.redwoodsystems.com , Building-Performance Lighting Platform provides on average a 75% reduction in energy usage from lighting and serves as a single system to monitor disruptions to uptime. The system scales well across a variety of environments from large Fortune 500 data centers and co-location facilities to smaller mission-critical facilities. As the world’s only smart building platform to power and control lights and a high-density sensor grid using low-voltage category cable for low cost installation and ultimate flexibility. This approach enables “lighting on demand”. Lights and controls can be easily installed or moved by pulling category (CAT 6) 6 cable to new locations. No line voltage is required for true POE, LED fixtures. The unique web interface allows for adjustments and improvements on your system by using analytic trends to identify energy saving opportunities and implement continuous commissioning of your energy management system. Real time comparison, as shown below, can be used to capture the energy savings for up to a year with a base line comparison of the original power consumption. 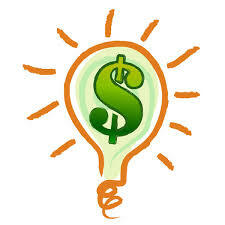 There are a tremendous number of brands, items and ideas that will lead you to energy savings. The secret? Stay doodling and dabbling .... Waiting and watching will only get you left behind. 2013 by Greg Crumpton & AirTight Mechanical, Inc. / www.airtight.co. Simple theme. Powered by Blogger.